FREE SHIPPING SITEWIDE + FREE IN HOME SETUP & ASSEMBLY on almost everything! Protection Plan Included Guardian 5 Year - Free! 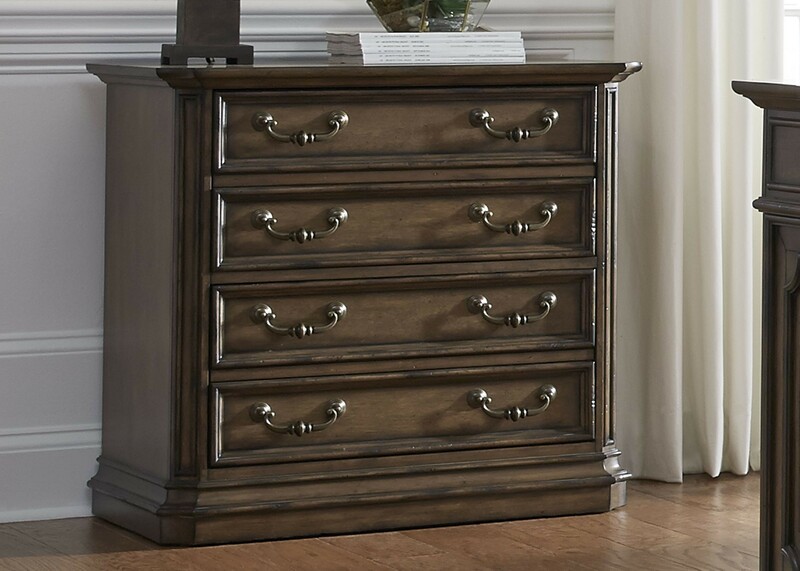 Made up of interlocking wedge-shaped elements called pins and tails, dovetail joints are used on front and back corners of drawers for extra strength. This method of joinery is one of the finest, and when done correctly it doesn't require any fasteners, though adhesives are commonly used for extra protection over time. Easily identified by its beautiful interlocking design, the dovetail joint is a centuries-proven mark of quality and style. 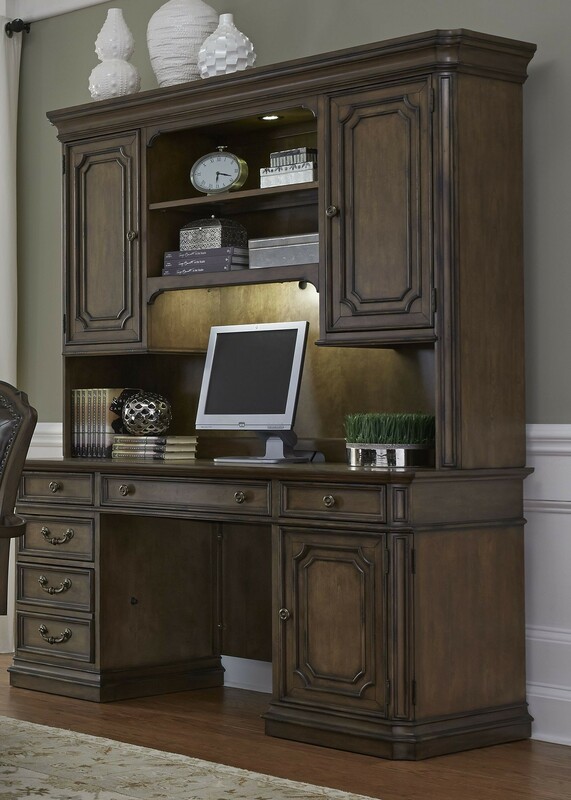 Writing Desk: 60"W x 30"D x 30"H - 105lbs. Lateral File: 32"W x 20"D x 31"H - 130lbs. Jr Executive Office Chair: 26"W x 27"D x 42"H - 55lbs. Credenza: 66"W x 24"D x 31"H - 132lbs. Credenza with Hutch: 67"W x 24"D x 79"H - 376lbs. The Amelia is designed for people with decorating flair. 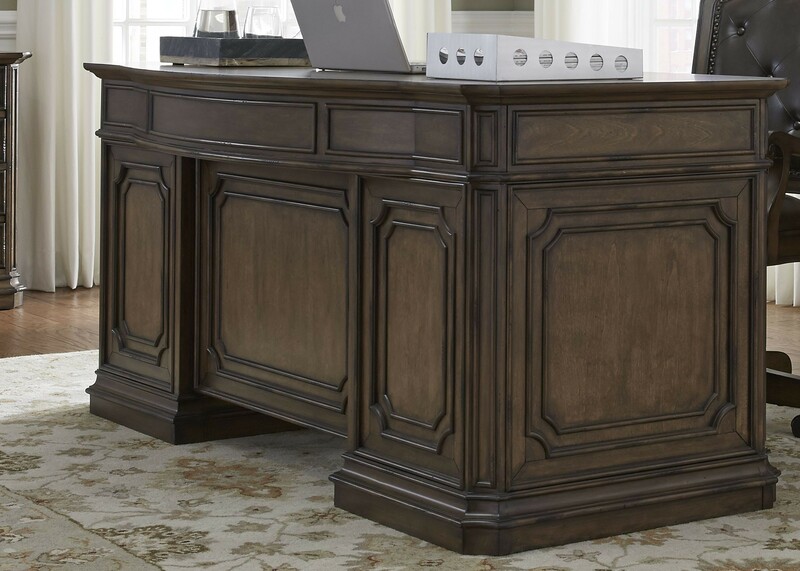 The Amelia Office Set would look good anywhere in the house. It's now my favorite piece of accent furniture. Amelia Office Set is phenomenal. You wont be disappointed! I promise. The price is amazing for the quality of the piece. The Office Set 1StopBedrooms Amelia goes well with our other furniture. It is so sturdy and the materials are all natural. I am from a small town. I went to 1StopBedroom and bought the Amelia Office Set. It is strong and sturdy. I needed a new Office Set. I bought the Amelia from 1StopBedroom. Wow! It is really nice and well made. My wife and I are beyond thrilled with our recent purchase of this Amelia Office Set. It was exactly what we were looking for with our crazy schedule. Thankfully the Amelia is also reasonably priced which makes it so much more enjoyable. ADORE this Office Set! The Amelia is just darling. I cant believe I havent ordered from here before. 1StopBedroom is great! Buy now and pay over time. It's simple financing that fits your life. Pay over time and split your purchase into 6, 12 monthly payments. Select the monthly payment option when you check out and provide some basic information to get instantly approved. Earn 3% BACK on every purchase! The more you shop, the more you earn. Membership in Rewards Basic is free and automatic. Reward dollars can be applied toward any future purchase. There are no product restrictions. 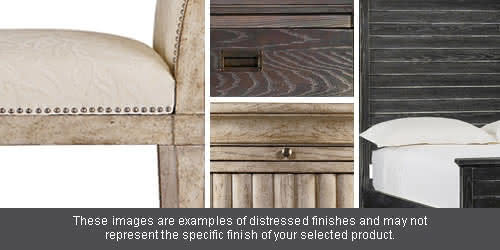 A distressed finish provides a look of aged character to any painted or stained surface. In order to achieve this appearance of natural wear, a craftsman will often use a hand finishing process, that may involve sanding through paint, scoring the wood finish, and treating metal surfaces to create a patina similar to the type that comes with a century in the weather. These processes leave the surface of the product with an antique look and feel where each piece is unique. Found a lower price? Just let us know and we'll beat it! 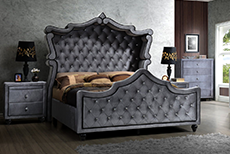 Take advantage of 1stopbedrooms's price match guarantee today! 1 stop is dedicated to always offering the best value to our customers. We will match the price, at the time of purchase, on a Price Match Guarantee product if you find the same item at a lower price at a Designated Major online Retailer or at a local retail competitor’s store. If you find a qualifying lower price online, call (866) 456-8823 and direct a customer service agent to the web site with the lower, or when visiting a 1 stop store, one of our employees will assist you. On qualifying products, 1 stop will then verify the current price to complete the price match. Some exclusions apply. See the list of Designated Major Online Retailers and full details. Have questions or need help with your purchases?